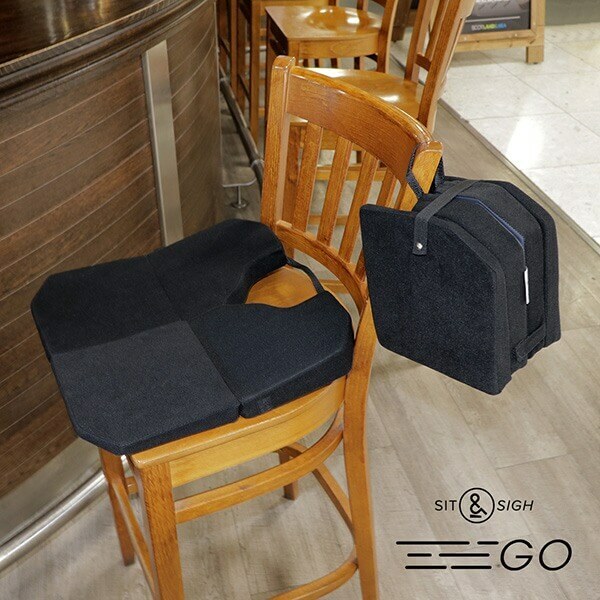 comfortable seating on the go. 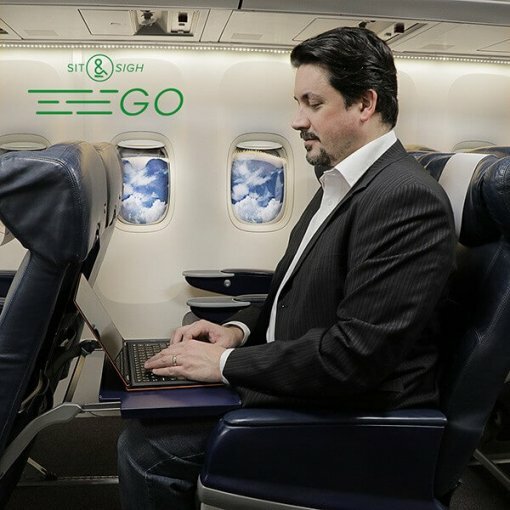 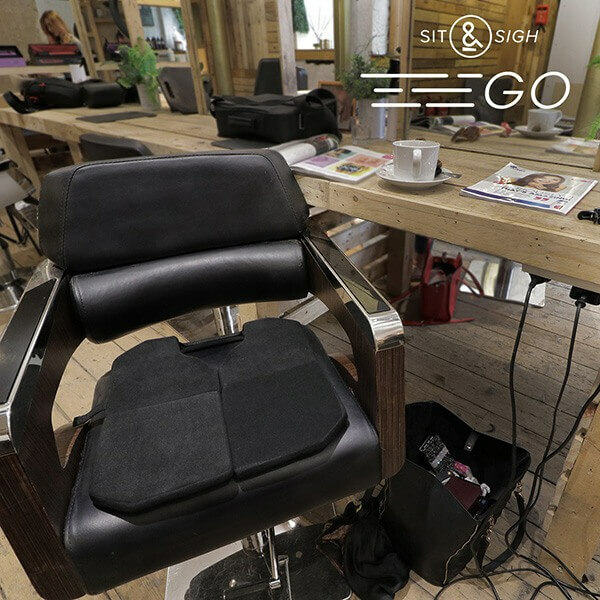 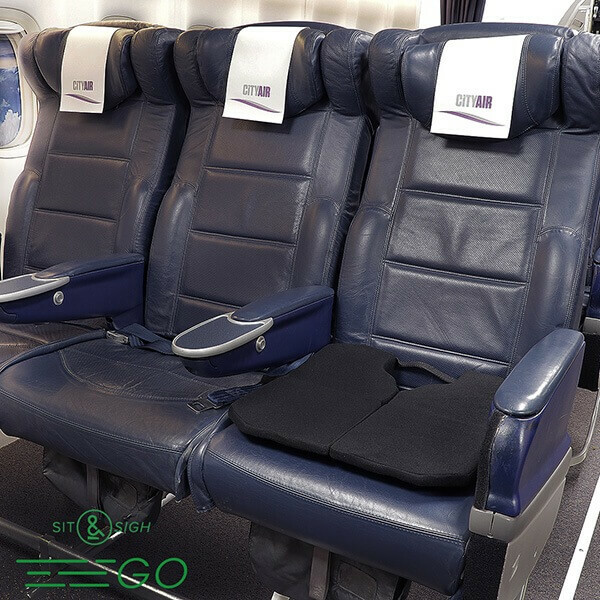 Make your next long-haul flight or hours-long car journey more comfortable with the Sit & Sigh GO. 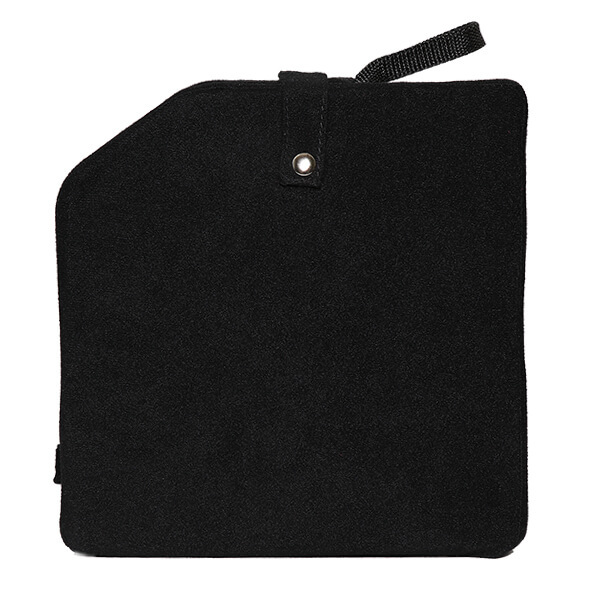 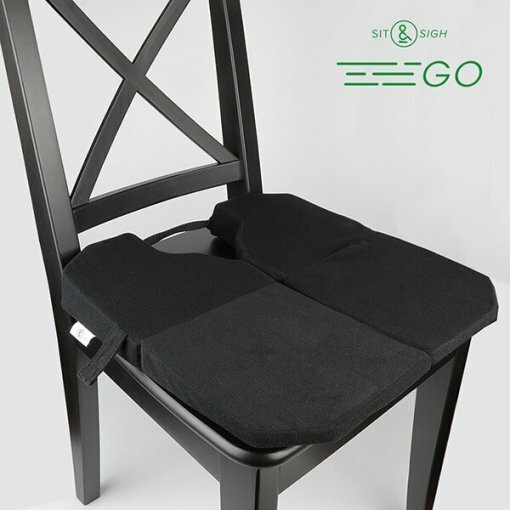 Our unique patented shape gives you a comfortable full-size seat cushion in a compact, folding design. 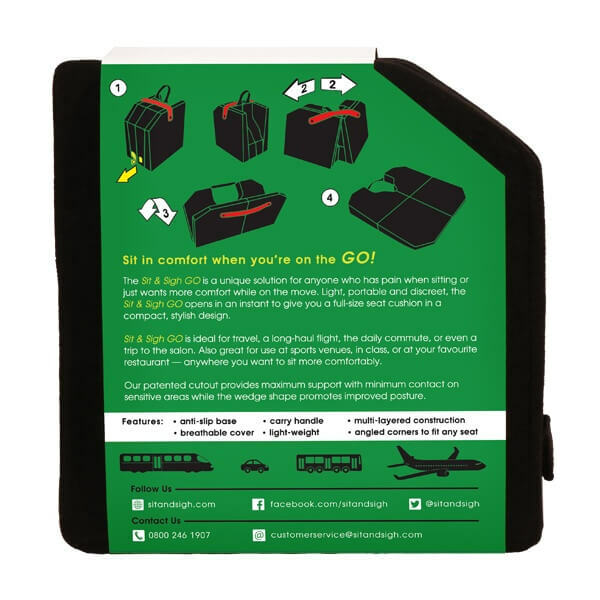 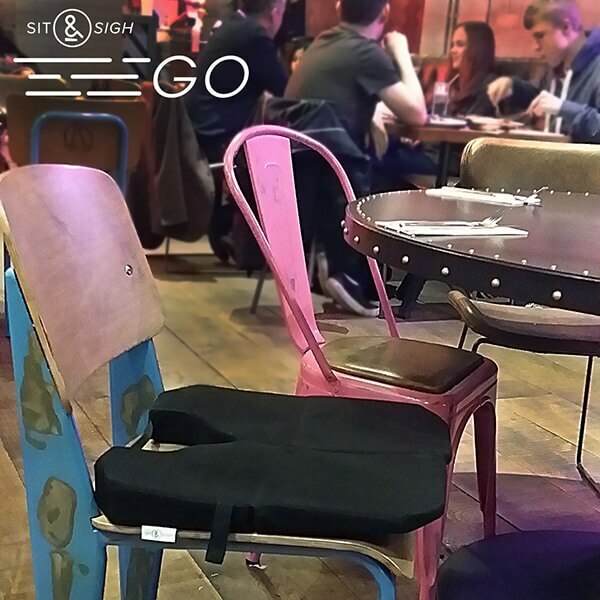 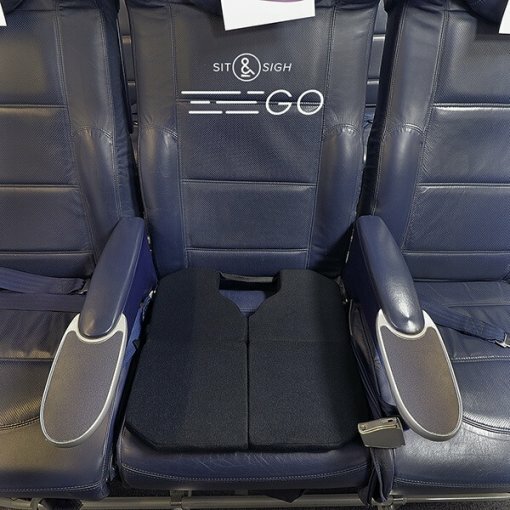 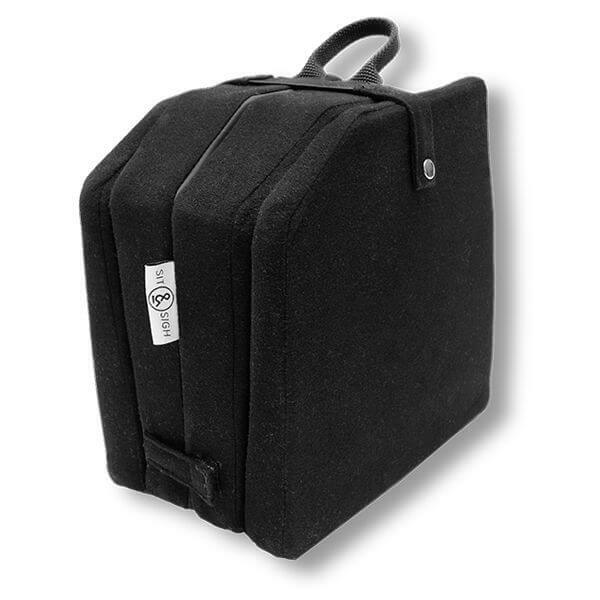 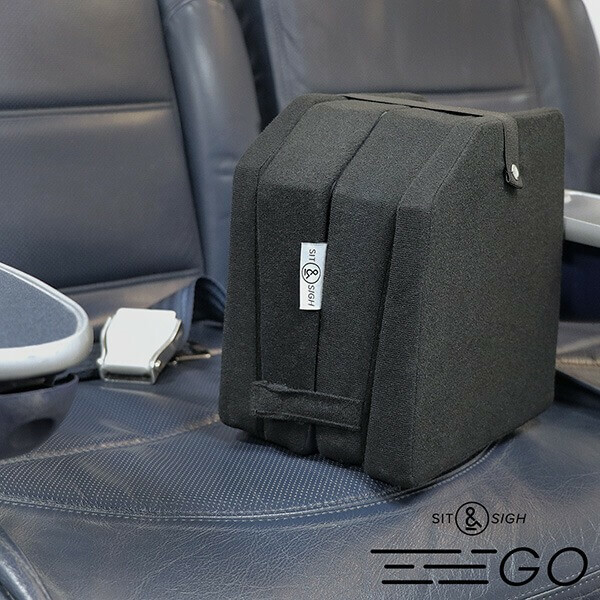 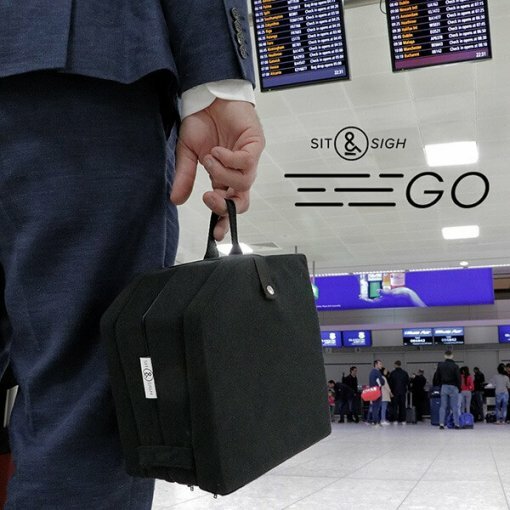 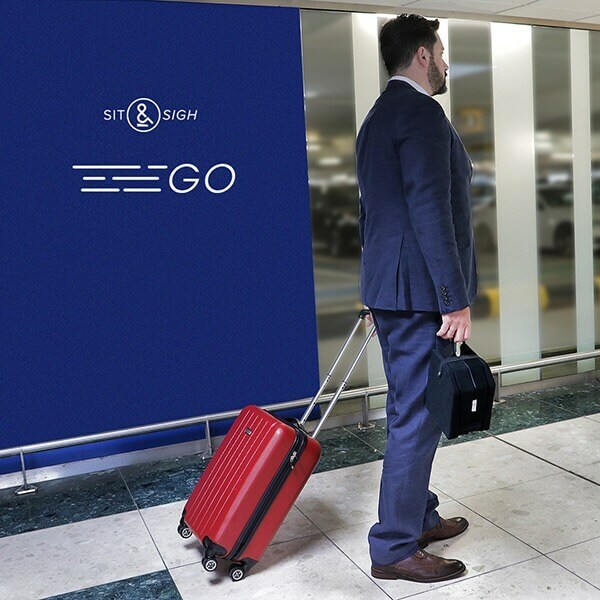 Weighing in at just 490 grams, the Sit & Sigh GO is deal for travelling on a plane, train or in a car* and the handy carry strap lets you attach the Sit & Sigh GO to a bag, carry-on or purse. 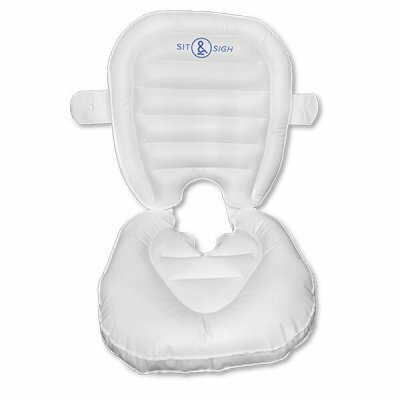 The soft breathable outer material allows for airflow to help keep you cooler while the anti-slip base keeps your cushion in place. 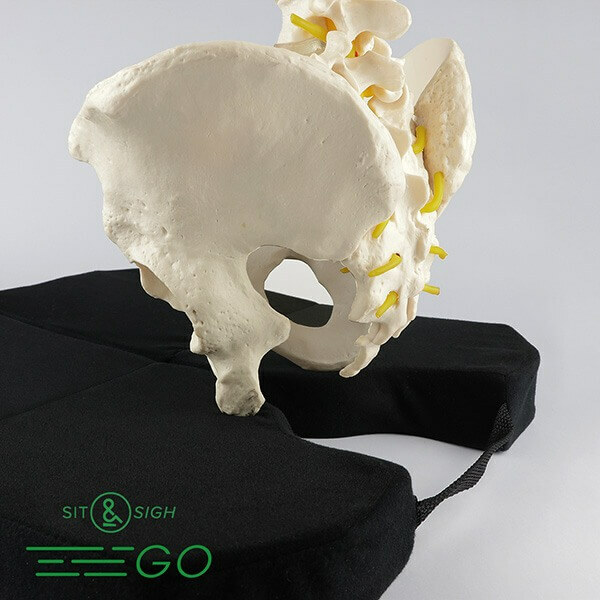 Our patented cutout shape is designed to support your pelvis while removing direct pressure from your tailbone and base of the spine. 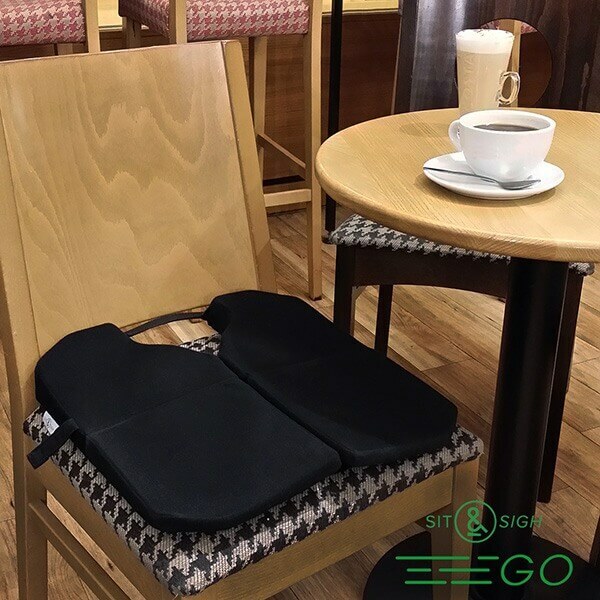 A perfect companion for anyone who has pelvic, tailbone or low back pain, the Sit & Sigh GO gently lifts the pelvis to create space between the seating surface and the coccyx. 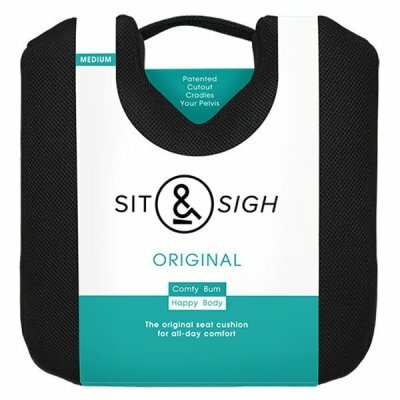 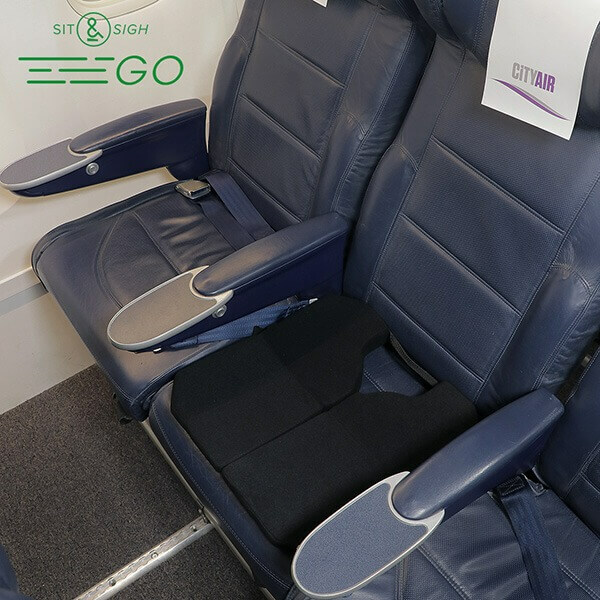 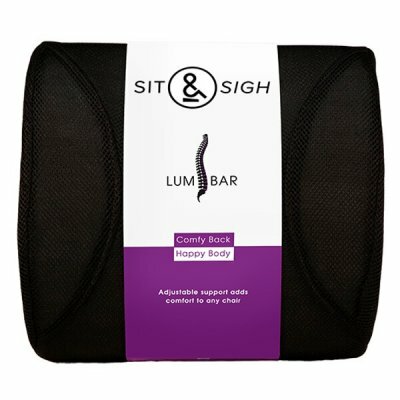 The Sit & Sigh GO’s double-layer design has a firmer base for shape and support while the medical-quality foam cushions and reduces pressure around sensitive areas. 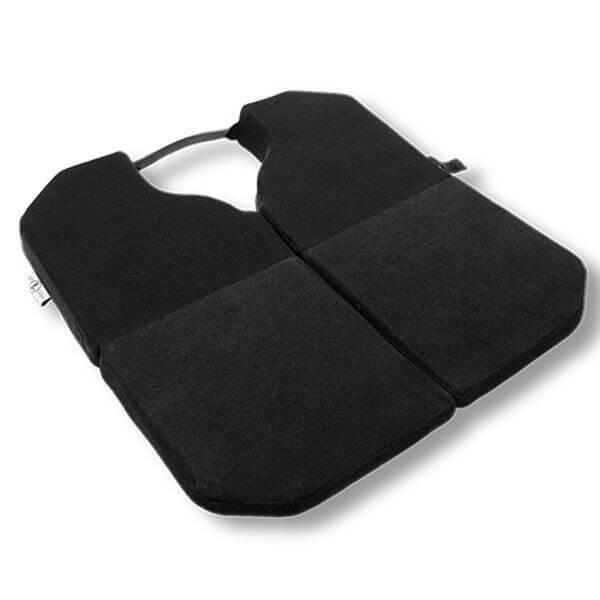 *Always make sure you maintain the recommended driving height for your vehicle. 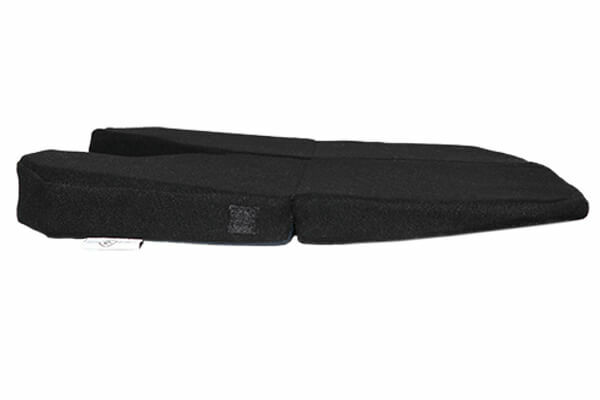 See our Warranty and Instructions page for more information on specific usage.